Bohemian-Austrian poet and author who is remembered for Sonnets to Orpheus and other lyrical, introspective works. 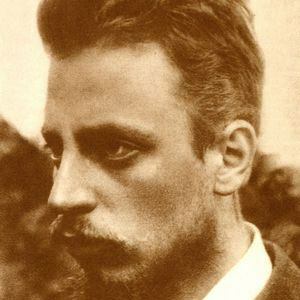 The Book of Hours, published in 1905, is a compilation of three volumes of Rilke's Christian-themed poems. He attended Charles University in Prague. He published his first poetry collection, Leben und Lieder, in 1894. He often used Greek motifs in his poems. He married sculptor Clara Westhoff in 1901. He was influenced by the work of Paul Cezanne.